In Shaping Clay meetings, we have discussed a number of issues related to the topic of resource directories. There are many organizations that have their own directory, each find it a challenge to maintain up-to-date contact information, and there can be a duplication of effort since multiple organizations work to both maintain their directories and get the word out about them. We are actively looking for a better way. We wanted to find out what resources those who are at the front-line answering the phones rely on. What questions do they get? What information do they give out? 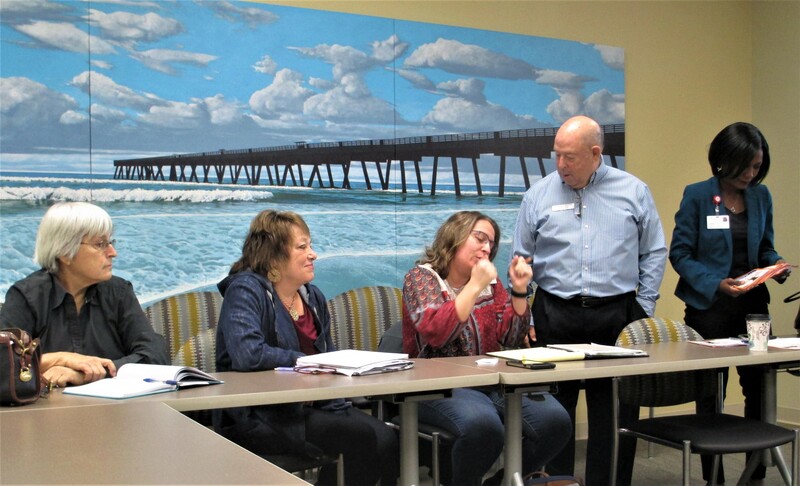 Allie got the ball rolling right after our February meeting, by reaching out to Clay County to find out what information they provide to callers looking for assistance. I did a search for community resources or assistance on the Clay County website and there wasn’t much. I called the general information number and spoke with a switchboard operator. She shared that she did not know of any community resources and didn’t have any listed to share. She shared that she has been in her position for 3 years and people call all the time asking about food stamps or food assistance, housing assistance, or information about other needs. I asked her what she usually tells people who call asking for resource information and she shared that she gives them two different telephone numbers. She didn’t know what the numbers would link me to, she just shared that that those were the numbers someone had put on the switchboard with a note that said housing/food/clothing assistance. When I googled them, they turned out to be North Florida Community Action Agency and the Clay Behavioral. I asked her who was in charge of determining the website content and she was unsure. She shared she knew that the MIS program updated and maintained the website. I asked her if it would be helpful for her to have a resource list or to have one posted on the Clay County website and she shared it would be. I would recommend that a representative from Mercy Support Services call and give the switchboard their number so that they have it to give out. I would also recommend that when we are creating our narrative that we include how the County website does not have any helpful information for residents in need. Then Elaine and Karen picked up the challenge and made several more calls to those on the front-lines answering calls from people looking for assistance. We were surprised, and you may be too, at what we discovered. Yes, here’s what I found out at a call to the mail Clay County number a month later, and not much has changed. When going to the Clay County website to find a number to call, there is lots of information, but no phone number until you go to the ‘contact us’ tab. People call in this main switchboard number (904) 284-6376 for rental, food, and housing assistance. The numbers that they share with callers are for these organizations: Career Source (904) 213-3888, Food Bank (904) 284-5936, Food Pantry (904) 284-0814, Housing Authority, and Neighborhood Assistance Resource Center (904) 529-2233. The woman who answered the phone did not know much about the organizations she is referring people to. For example, why there are two food related numbers and she had not heard of Mercy Support Services. I told her that we were trying to get up-to-date information into the hands of those who like her are on the front line answering phones from people looking for social service support. She welcomed this and gave me her email to stay in touch. I did not know what the Neighborhood Assistance Resource Center was so I called them. They are based in Green Cove Springs and have two staff members plus someone who comes in two days a week from another agency. They help people with many things such as food stamps, Medicaid, and vouchers for food pantry access. The woman that I spoke with welcomed receiving any updated information that we could share. When she gave me her email address, it became apparent that I was speaking with Clay Behavioral’s Green Cove Springs office. I spoke to the Keystone Heights receptionist. She says that she has a few numbers for local services–their senior center, etc.–but, generally, if calls come in for other things, she refers people to the main Clay County switchboard number. She says even the senior center is run by the Council on Aging which is a County service. The website does not provide guidance about where to call to find answers to social service questions. When you call the main number, no one answers the phone if your question cannot be handled by the automated selections. So I dug into the online staff directory, and again there was no obvious choice, so I called the Assistant to the Town Manager. Here’s what she shared. Most of the calls they get are for housing (e.g. section 8) and these are sent to Flagler County who handles those needs for Clay County. The other most common request is for assistance in paying utility bills and they send these to the Northeast Florida Community Action Agency. They don’t have a list of service providers, rather she distributes brochures to some staff so that they can respond to requests for food pantry and mental health needs (Clay Behavioral}. She did not know about Mercy Support Services when I mentioned them. She gave me her email address so we could send her materials that may help them answer questions. 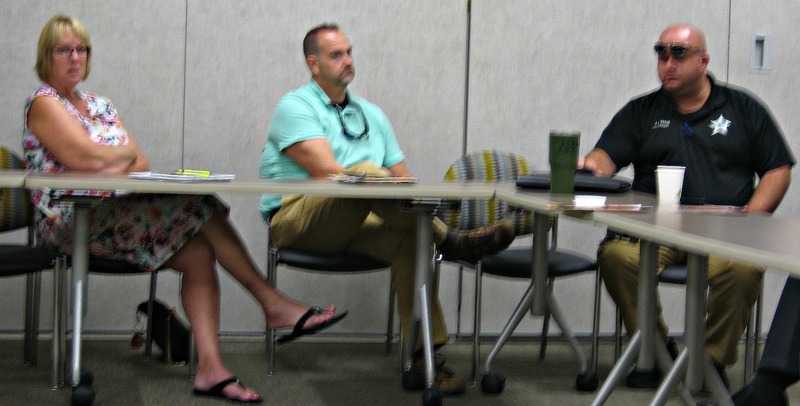 She noted that while the county is based in Green Cove Springs, most of the requests for social service needs are fielded by the county government rather than the Green Cove Springs municipality. I called Sarah, who was recommended as a point of contact at our last Shaping Clay meeting. She is the Town Clerk / Assistant Town Manager so she does not answer the main number. She said that they have a list of about 10 organizations that are on a handout that they give to people who walk in looking for assistance. This list is also used as reference by the person at the front desk when a call comes in. She’s going to have someone send me the list electronically. She too would welcome updated information. It looks like we have some work to do in Clay County in terms of getting updated lists of social service organizations and agency descriptions to those who receive questions from those who need to access these services. Also, is there a way to effectively share information centrally about upcoming events that may be of interest to community residents and businesses? Meeting called to order by Ernie Cohen (Clay Behavioral, Kids First). Karen Wintress (Utility Bill Checkup) welcomed attendees, and began the roundtable self-introductions. 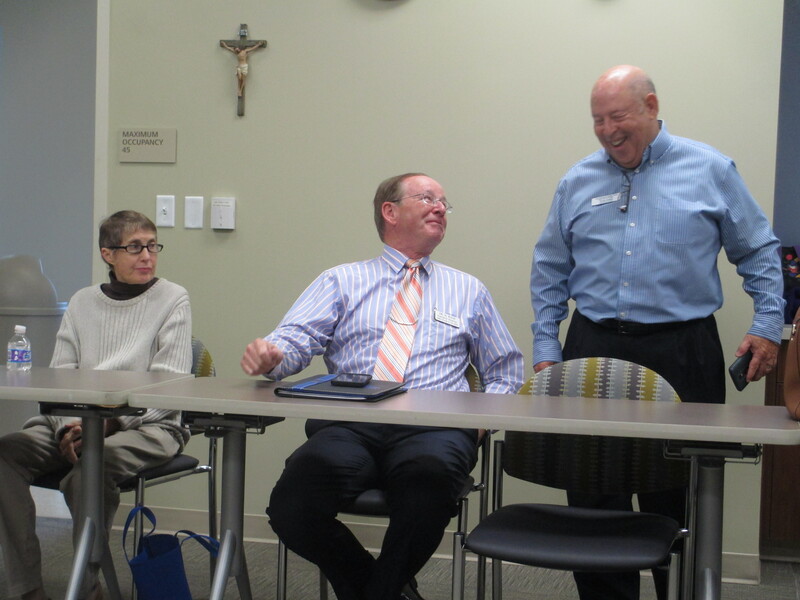 Ernie reviewed activity at the January meeting: discussion of topic of centralized resource directory; reports on resources available by Bob Arnold (United Way, 211), plus many other resources documented in the January meeting minutes; and proposal by Karen for directory consolidation. Result of the January discussion was that agencies wished to maintain their own directories for the functions of their agencies. However, all face an ongoing issue of keeping directory entries current and complete. Callen Bell reported on the website for the Non-profit Center of Northeast Florida, which is based on cataloging all non-profits that file a Form 990. 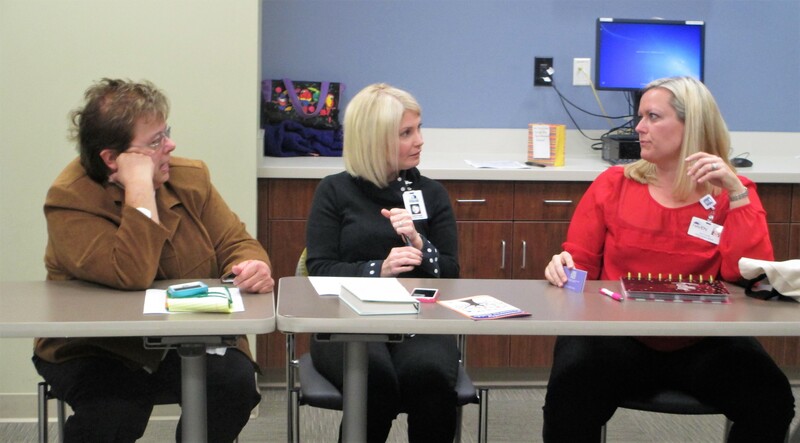 Continuing discussion led to the proposal for training sessions led by a panel of non-profit representatives and offered to those who deal with clients who require social services of various kinds. Karen then asked attendees to begin offering ideas for next steps in maximizing the maintenance and distribution of our Clay County directories. Allie Munch (Big Brothers/Big Sisters) suggested that someone get in touch with Sarah Campbell, Orange Park Town Manager, who is planning to restructure the Orange Park website with more emphasis on agencies offering service in the area. Furthermore, the Clay County Chamber of Commerce is also going to have a greater focus on non-profits, and would be a good platform for information. Ernie noted that there is frustration among those who need services but don’t know how to access them. He had previously worked with the Council on Aging to place “prescription pads” with the COA contact number in medical settings. This led to a 400% increase in calls to the COA. However, there is still an issue with those who do not have access to this source of information. Nellie Duval (Florida Department of Health, Clay County), said that she does not know how to keep her information updated because she does not know which directories list her agency as a contact. Janey Fox (Mercy Support Services) said that keeping their call center directory updated is an ongoing and time-consuming activity for volunteers. Andre Van Heerden (Clay Safety Net Alliance) said that some agencies, such as those dealing with mental health issues and the Way Free Clinic may need their own lists of specialized resources. Bliss Hayes (Northeast Florida Community Action Agency) mentioned that they find the schools ‘Quick List’ to be a valuable contact list for their agency to use. Sandy Coffey (Clay County Library Board of Trustees) suggested that Mercy Support Services send an email to all agencies in their directory once or twice a year, asking them to respond with updated agency information if they wished to remain in the referral database. Alisha Ross (Just Add Rhythm) reviewed the SunBiz procedures for how companies that wish to be included are required to annually update their entries. She asked if there was a comparable way to automate the updates for non-profits. We wondered if the Nonprofit Center’s database could be helpful in some way. Marie Smith (National Alliance on Mental Illness/NAMI) noted that they need to refer their clients to agencies that aren’t usually contained within the Mercy Support Services directory. Keeping up to date contact information for use by their referral center is a real challenge. Karen mentioned that referrals for arts, education and other services need to be included in a comprehensive database, not just contacts for social service agencies that respond to crisis situations. Amy Parker (Reinhold Foundation) noted that the Foundation’s major initiatives are to provide training in support of Clay County non-profits and annually recognize non-profit organizations at Celebrate Clay. Jessica Starkey (St Leo University) suggested using community service volunteers from the high school career academy tech programs to tackle an online directory as a project. Perhaps they could develop an app which is used by residents. This project could go toward community service hours. Elaine Smith (Clamour Theatre) explained that a website would require two efforts – page development and database management skills. She also described the New York City centralized-phone system that people call to get information and which transfers calls directly to relevant agencies. Stephanie Geoghagan (Clay Action Coalition) noted how they receive calls from people within Clay County and from out of the area who are moving into the area that are looking for service referrals. Also people just show up at their office. She generally refers them to the Mercy Support Services call center. Other avenues for sharing information could be the Clay Chamber of Commerce, which is planning to hear a presentation from the Nonprofit Center on the state of non-profits in Clay County sometime in March. 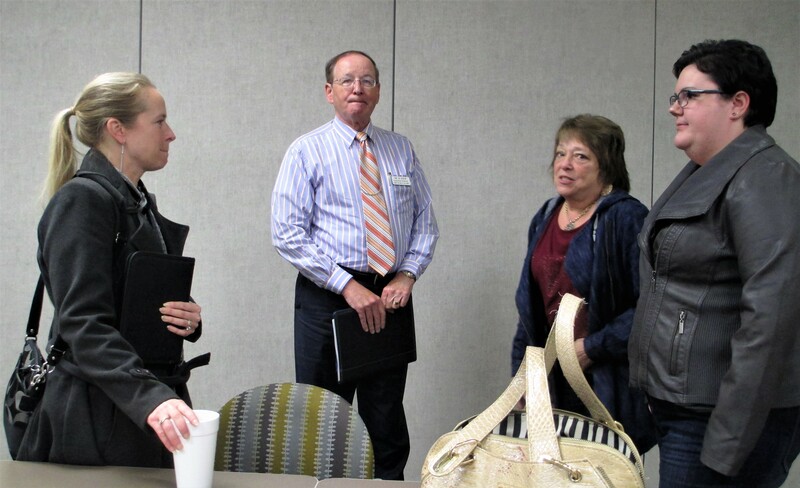 Janey suggested that Shaping Clay (Karen Wintress) invite reps from the Chamber of Commerce (Doug Conkey), Economic Development Corporation (Bill Garrison), Small Business Development (Annie Grogan) and the Town of Orange Park (Sarah Campbell) to a meeting to discuss how the county and municipal agencies handle resident requests for service information. Our non-profit agencies would like to explore how we can provide benefit to these community stakeholders. Prior to scheduling the meeting, Karen, Jessica and Elaine will meet to create a narrative for presentation to these agencies. This narrative will be reviewed by Shaping Clay members. The goal will be to have a preliminary meeting with agency reps to see if they are willing to work with Shaping Clay on this issue. Allie Munch offered to contact Clay County government re the placement of non-profit contact information on their website and in their call center. Here’s what Allie reported back to the group. I did a search for community resources or assistance on the Clay County website and there wasn’t much related return. I called the general information number and spoke with a switchboard operator. She shared that she did not know of any community resources and didn’t have any listed to share. She shared that she has been in her position for 3 years and people call all the time asking about food stamps or food assistance, housing assistance, or information about other needs. I asked her what she usually tells people who call asking for resource information and she shared that she gives them two different telephone numbers. (I googled the numbers she gave me and one belongs to North Florida Community Action Agency and the other belongs to Clay Behavioral). She didn’t know what the numbers would link me to, she just shared that that those were the numbers someone had put on the switchboard with a note that said housing/food/clothing assistance. I asked her who was in charge of determining the website content and she was unsure. She shared she knew that the MIS program updated and maintained the website. I asked her if it would be helpful for her to have a resource list or to have one posted on the Clay County website and she shared it would be. I would recommend that a representative from Mercy Support Services call and give the switchboard their number so that they have it to give out. I would also recommend that when we are creating our narrative that we include how the County website does not have any helpful information for residents in need. Action items, as reviewed by Ernie Cohen: Find ways to communicate to the community that resources are out there; how to limit duplication of services; how to keep resource lists updated. Announcements: Clay Behavioral and Kids First Reverse Raffle is being held on April 7 at the Hilltop. Contact Ernie Cohen (904) 710-5148 because tickets are going fast. There is a 4-part series of Healthy Cooking Classes being held at the Barco-Newton Family YMCA. Contact Andrea Richardson (904) 502-8545 for more info. Next Shaping Clay meeting: Friday, March 31, 2017 at 8:30 a.m. at St. Vincent’s in Middleburg. 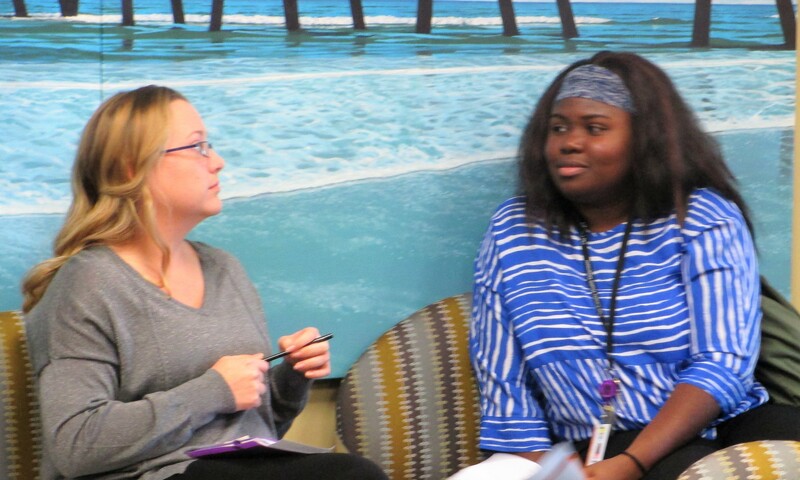 Challenge: Consider reaching out to someone at the meeting and have a one-on-one meeting with them to find out more about each other’s respective organizations and how you may be able to collaborate. Contact information for meeting attendees is below. Greetings. You’re invited to our January 27 Shaping Clay meeting. We still meet at St. Vincent’s in Middleburg, starting at 8:30 a.m. At this meeting, we’re going to have a round-table discussion on resource directories used in Clay County. At previous meetings, we have talked about having a centralized resource directory. There are some hurdles to overcome to achieve this, however; let’s start by exploring what resource directories are already out there. For existing directories, how can we help each other get the word out and keep our directories up-to-date? If you are considering starting a new resource directory, please come to find out what may already exist that may be useful for you. How is your directory used by your organization? What information does it contain? What is the approximate size or how many resources does it contain? How is it kept up-to-date? Is it used internally or shared with the community? If it is shared, is it available in printed form and/or online? Would you like to expand its distribution? If so, who should have access to your directory that doesn’t already? How can we help you keep it up-to-date and get the word out about your directory? Who is the contact in your organization for someone to find out more about it? Here are some organizations that may have a resource directory or be a repository for one. Please come and participate in this round table discussion. If there are others who should be present, please invite them. For those who can’t attend, send information via email ahead of time to Karen Wintress kkwintress@yahoo.com, and we’ll share it with the group. 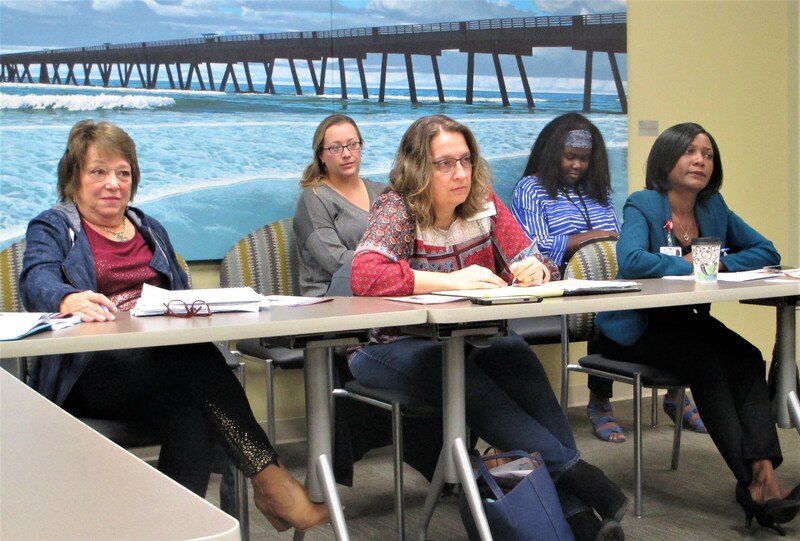 At our December 2, 2016 meeting, we had 5 new people join us, which added a lot to the discussion. Following is a recap of some of our discussion. Jonathan Hall, the band director for the Oakleaf High School, has a great program that he is spearheading with his students. They are launching a program called Box5coffee.com. For every bag of Box5coffee sold, the Oakleaf High School Band will receive funding to purchase musical and educational resources for students at the school. They also care about children who do not have the basic necessities to experience a high-quality education. They will be donating resources to children in the greater Jacksonville, FL area as well as children in Burkina Faso, Uganda, Kosovo, Syria and Northern Ireland. I encourage everyone to check out the website at www.box5coffee.com. You can find out more about the program and discover ways that you may be able to contribute to their effort. You can reach Johnathan at jonathan.hall@myonecay.net to find out more. Allie Munch shared with us some of the programs that Big Brothers / Big Sisters are doing. They want to expand their programs and outreach to people who may want to find out more about being a Big Brother or Big Sister. She noted that they’d like to have more options for those under 18. Please get in touch with Allie at amunch@bbbsnefl.org if you have ideas to share with her. Ernie Cohen of Kids First of Florida says that they are responsible for some 500 kids. For those not familiar with KFF, it has a number of programs that it manages for Clay County’s children. When children are removed from their families due to abuse, neglect, or abandonment they need a temporary home, or foster care. When returning home is not possible, then KFF must terminate parental rights and find a forever family through adoption for that child. Additionally, they provide post-adoption support, preventative programs, and independent living services for children aging out of the foster care system into adulthood. Ernie feels that in Clay County we really need a combined resource directory to better coordinate resources and prevent duplication of services. If you would like to connect with KFF contact Ernie at ecohen@theigd.org. Sonya Maness-Turner joined us as a newcomer to the area and is very interested in finding a position with a nonprofit in Clay or Duval County. 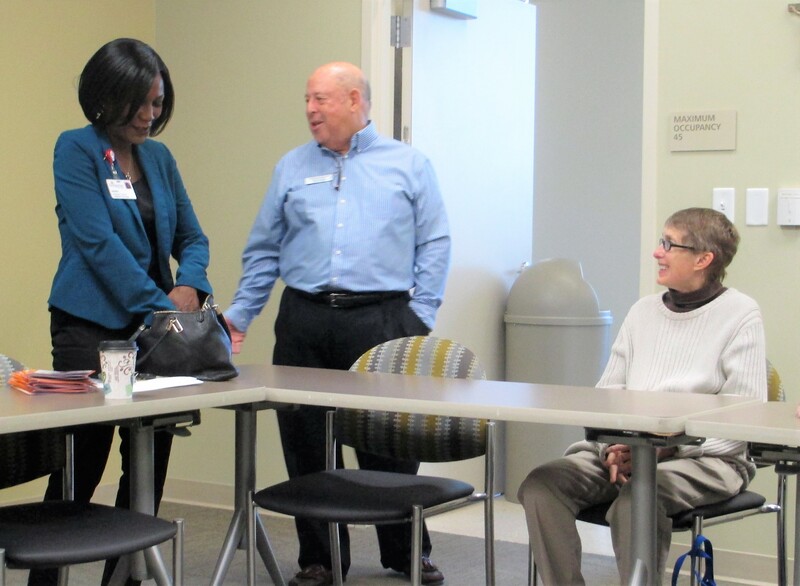 Among her many experiences, she has been a community builder for the United Way in Jacksonville, Executive Director of the YWCO in Laurel, MS, and Finance Assistant for the Carson Tahoe Health Systems in Carson City, NV. Please contact Sonya if you can connect her to a nonprofit opportunity in our area at sonyamanessturner@gmail.com. While not at our meeting, Leah Donelan from the Nonprofit Center has shared that they have a number of programs that can be shared at upcoming Shaping Clay meetings. Please let me know which program(s) you would like to attend this year. 1. State of the Nonprofit Sector (including fundraising trends) for Clay County after February. 2. Developing and Managing Your Volunteers. We decided that there was a lot of interest among the meeting attendees to talk about our much needed resource directory. Therefore, at or January 27th we are going to assemble all the resources that we can to explore what steps we can take to move toward a resource directory for Clay County. Suggested contacts included: Bob Arnold of United Way, Eldersource, Library, Reinhold Foundation, Orange Park Medical Center, Mercy Support Services, Public Safety, and Emergency Operations Center. Please join us and invite anyone who would like to have input to the content or process of creating a resource directory. In addition to topics suggested by the Nonprofit Center, the following are notes from our February 2016 Shaping Clay meeting, which includes suggested topics for meetings. What topics are important for us to discuss during 2017? February 2016 Meeting Notes: During 2016 Shaping Clay is poised to venture into some new territory. We want to explore how the nonprofits can collaborate with a variety of other stakeholders in Clay County. Some of these other groups / topics previously identified during our 2015 meetings include: Libraries, Agriculture, Emergency Planning, Education, Legislators, Government, Speaker’s Bureau, Storytelling, Volunteer Directory, and Resource Directory. Invite nonprofits which provide a vital role in the community’s well-being, but are not presently attending Shaping Clay meetings. Those mentioned included schools, arts, history, and youth athletic groups. It was also recommended that Shaping Clay as a network of nonprofits we encourage action and collaboration among the nonprofits on selected projects by adopting a Plan Do Act Check model. Have key note speakers, such as Bill Garrison from the Economic Development Corporation share his vision and future plans for Clay County. If we know how and where Clay County is going, then we can identify ways that the nonprofits and businesses can work together. Adopt and support one of the CHIP (Clay Health Improvement Plan) Lifestyles / Behaviors workgroup projects once finalized. Find a champion to update an existing or create a new Resource Directory. The Resource Directory is to be accessible to anyone in Clay County (especially new residents and businesses), to include as many resources as possible, not just social services, and be kept up-to-date. Ideally it should include eligibility requirements and documentation needed to obtain a social service. Develop a Communication Plan and spearhead a promotional campaign which communicates the full impact of nonprofits in Clay County – number of employees, nature and value of services provided, etc. Create a story about the impact that a disaster would have if our nonprofits couldn’t respond for a week or longer. The currency which we bring to the community is so much more than $, it includes quality of life, compassion, health, and other positive attributes. Sponsor a panel discussion on a topic that would bring together and be of interest to both the Mercy Network and Shaping Clay participants. Explore how Shaping Clay can provide support to organizations such as Saint Leo and the Clay County libraries. How can they help support the nonprofits? Organizations such as these have great ideas, untapped resources such as students, professors, volunteers, and media. It’s likely that by sharing our respective missions and goals with these and other stakeholders we will build some connections that are beneficial to all. Saint Leo would like to engage students more and be a sponsor of public forums. Presently Saint Leo is sponsoring a ‘Compassion Fatigue Seminar’ on April 7th from 8:30 to 3:00 at the Orange Park Library. Please share the attached flyer with those who could benefit from attending. Identify, make connections, and help get the word out about innovative programs such as Reverend Bill Randall’s (Saint Simon Missionary Baptist Church) transportation project. It was noted that he’s tackling transportation needs similar to how Clay Habitat is working with housing needs. Bottomline: As a community, it is very important, that we work together to accomplish our shared vision and mission for the betterment of Clay County! Come one, come all Shaping Clay members to join us for the last Shaping Clay meeting for 2016. We’ll meet at St. Vincent’s in Middleburg from 8:30 – 10:00 a.m. There will be no heavy discussion, just networking and the opportunity for those who wish to share highlights about your organization’s accomplishments during the year. 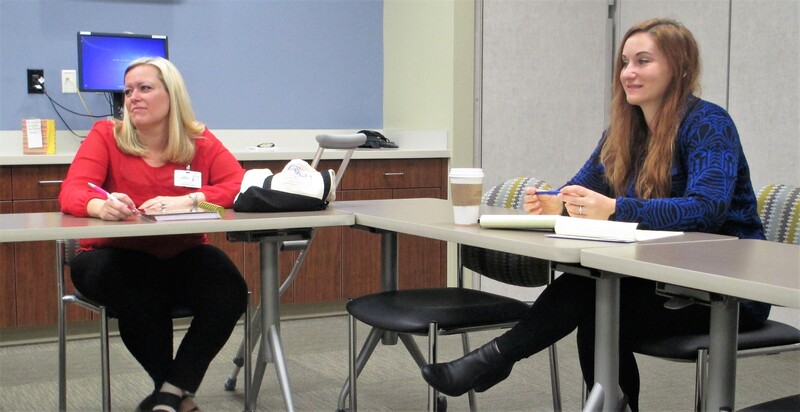 If there is any confusion, for those who missed the May meeting, we decided to more clearly define the mission and goals of Clay’s two nonprofit networks – The Clay SafetyNet Alliance and Shaping Clay. We looked to Maslow’s Hierarchy of Needs for a model. The Clay SafetyNet Alliance (previously known as the Mercy Network) is to expand the platform of committed partners among faith-based, nonprofit, for-profit and local government organizations. 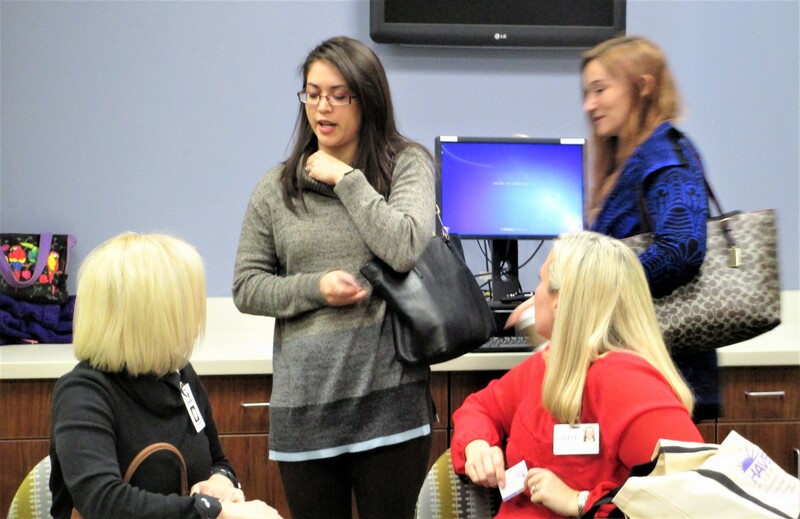 This network meets regularly (the third Thursday of the month) in order to share resources, avoid duplication of effort, and find solutions to issues facing our community. It focuses on strengthening a safety net for those in need of social services. Shaping Clay is a network of nonprofits which provide programs and resources to enrich, educate and/or entertain the lives of those within our county. We invite all stakeholders to join us (usually the last Friday of the month) as we reach out to leverage our efforts and find ways to help us all ‘get the word out’, a common challenge faced by many organizations. Among our meeting topics we focused on mental health, veteran services, and senior services, with each of these resulting in councils being formed to dig deeper. It will be interesting to see what lies ahead for 2017. We’d love to have all Shaping Clay members join us on December 2nd at 8:30 am at St. Vincent’s in Middleburg. Please invite anyone who you feel would like to attend. This will be a great opportunity to find what other organizations are doing and see if there are ways to partner. Bring lots of business cards to exchange. – Arrive by 8:15 to purchase your own refreshments at the St. Vincent’s cafe, then walk down the hall to the meeting. – A $2 donation at the door helps to cover website and marketing costs.